It's my birthday today! Still pretty hungover after last night's party but I HONESTLY CAN'T stall this post anymore. To be very honest, all the time that I should be giving to my blog is somehow taken up by endless scrolling on instagram, retweeting all of Pakalu Papito's fabulous tweets and binge-watching You're The Worst. But all that's going to change now. Because I have finished watching all the episodes of You're The Worst. If you have been following my instagram posts, you'd know I'm into everything bold, kitschy, colourful and hand-made. Most of my outfits have at least one or more (somewhat) loud element- the one element that lifts the outfit and gives it a personalised edge. In this post, I am going to talk about 5 tricks you can count on to create a fun, fusion outfit. These can be used all together (like I have done) or in combinations. Winged eyeliner will always win but minor tweaks can make a big difference! Also, wear a bindi when they least expect you to. I TRULY believe in the power of jewellery and don't shy away from colours and bling. This post features two gorgeous pieces from June, a homegrown label that beautifully blends traditional craft techniques and modern aesthetics. Read until end of the post to find out more about June and how you can place your order. There's so much you can do with a dupatta. I have belted a chanderi mirror-work dupatta over a plain tank top and pleated harem-like pants. Frankly, the outfit is nothing without the dupatta. You could easily throw it over like a cape with a few knots here and there (already thinking about doing "10 things to do with your mum's dupatta, lol) or simply wear it like an infinity scarf. 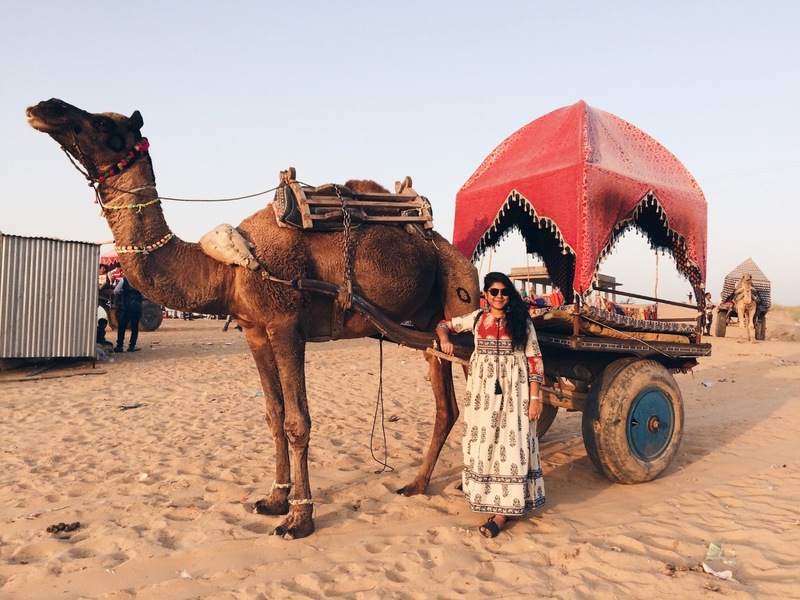 If you have a nice phulkari, nothing like it! I am wearing my mom's super heavy vintage anklets for some extra jazz. Plus, it lends a personal sentimental element to your outfit. Think brooches, earrings / earrings as brooches, nose-pins, anklets (try wearing one like a choker), jooda pins- basically anything you can find in your mum's silver stash. Don't wear the shoes people are expecting you to wear. Kolhapuris are great break from your regular shoes- I have tried them with cropped pants, pencil skirts, maxis and basically, everything! Not only are they super comfortable but also add a a dash of Indian-ness to any outfit. 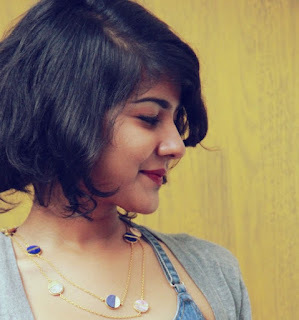 The two necklaces featured in the post are from June, a label dedicated to make the most of Indian craft techniques to create one-of-a-kind, statement jewellery that naturally becomes the focus point of your outfit. June is a breath of fresh air for it promises to stay true to its roots while understanding contemporary fashion needs and philosophies.These are the kind of pieces where you don't even have to work hard to make an outfit look good, they are enough to make even a simple white shirt extra-ordinary. I got myself a perpendicular necklace with a silver coin and tassels, along with a mirror work bow tie. Both the pieces are very unique and add quirk to all kinds of outfits, whether casual, formal or boho. You can follow June here on Instagram and Facebook and place your orders by writing to info@studiojune.in. Currently eyeing this stunning Gujrati number from their new festive collection. Pretty, right? Photographs by Ankit Mathur . You looks sooo pretty dear. loved your outfit.